Are you looking for a new home to rent? Have you got a house that you’d like to rent out? 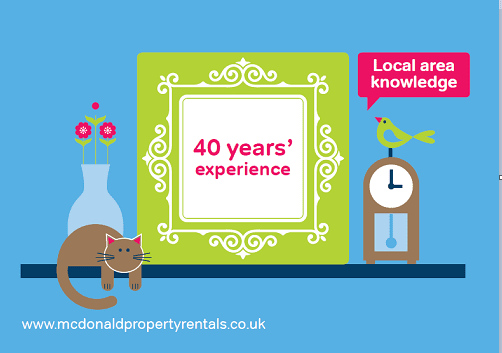 McDonald Property Rentals has been helping the Fylde Coast to rent for over 40 years. Find your perfect home today. 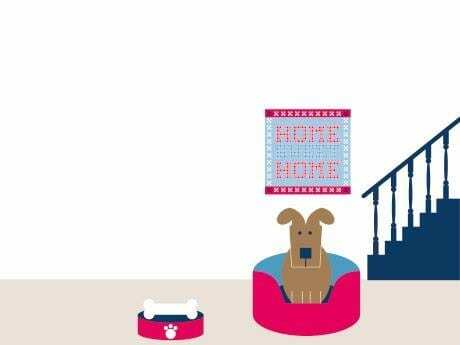 Looking for Advice about Renting with Pets? We know it can be stressful when it comes to renting with a pet as some Landlords are reluctant to take animals in case they cause any damage or mess to their property. • Don’t leave house hunting until the last minute: give yourself plenty of time and begin searching before you need to move out of your current home. • Be as flexible as possible: the more restrictive your search criteria, the more difficult it will be to find a pet-friendly property. Try to be flexible on location and property type as this will increase your chances of finding somewhere for you and your pet to live. • Get a reference for your pet: by providing your Landlord with a reference from your previous Landlord. • Offer to pay a higher deposit: many Landlords are concerned about pets causing damage to their property or furnishings. By offering to pay a higher deposit, you will reassure the Landlord that you will cover any damage that your pet may cause. • Offer to have the property professionally cleaned: Landlords often worry that accepting pets will lead to flea infestations, excess pet hair and dirty carpets and soft furnishings. To put your Landlord’s mind at ease you might consider offering to pay for the property to be professionally cleaned when you move out. Some Landlords and letting agents may ask for a non-refundable payment in advance to cover the cost of cleaning. 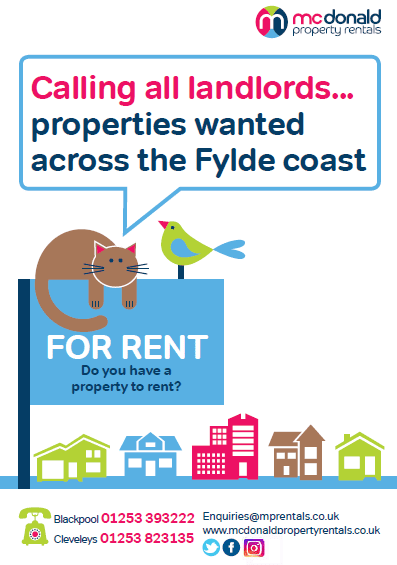 If you have seen a property you would like to rent from McDonald’s Property Rentals and would like to check the landlord’s pet policy, please contact us directly on 01253 393222 – and please mention that you saw it on Visit Fylde Coast! 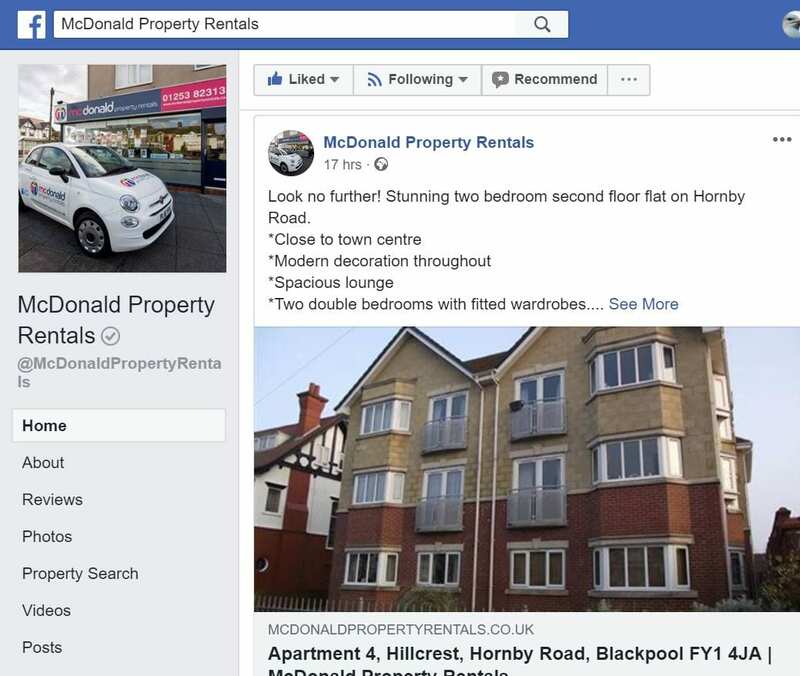 Take a look at the McDonald Property Rentals Facebook page to find the latest new rentals – along with the latest news too. In fact, if you carry on scrolling to the bottom of this page you’ll find a feed from their Facebook page, ready for you to view. 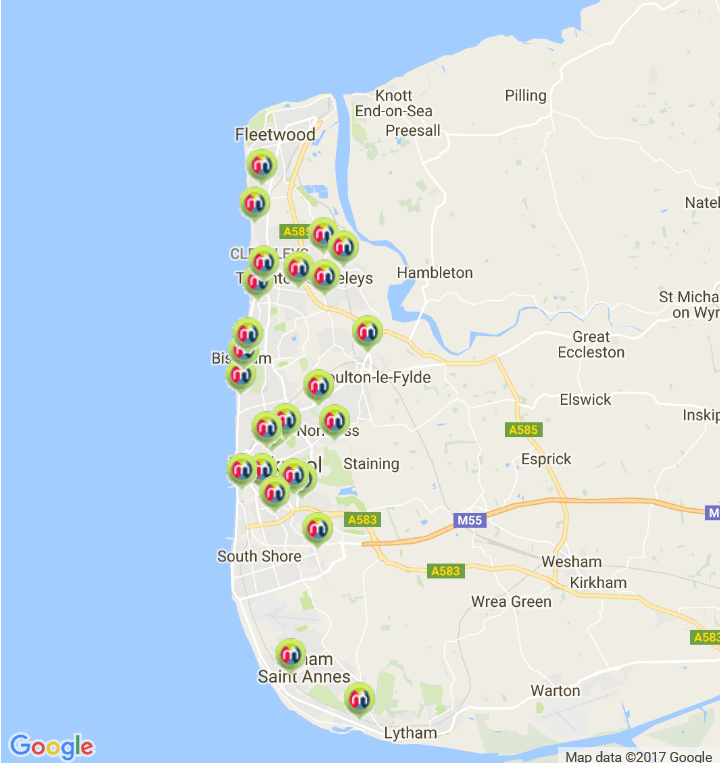 All the latest new properties to rent on the Fylde Coast are posted on their Facebook page – you might find your next dream home there. 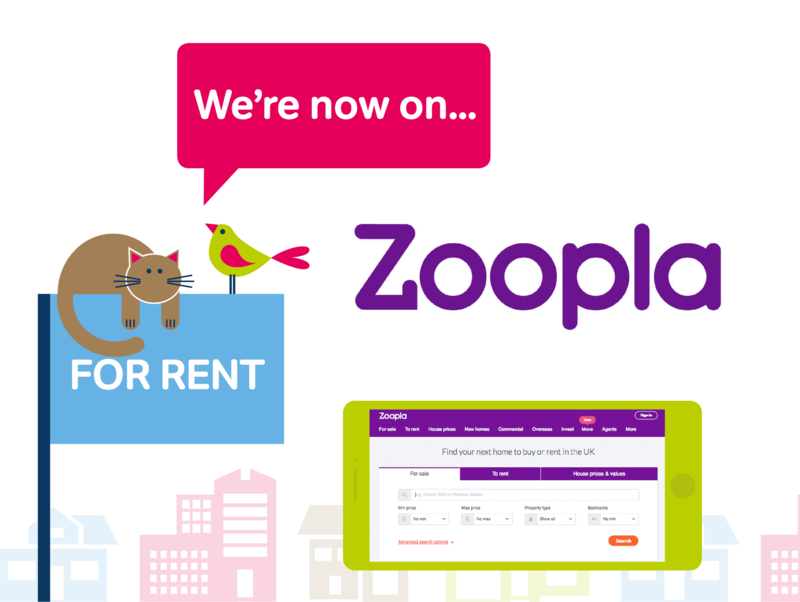 Good news, McDonald Property Rentals is now on ZOOPLA! 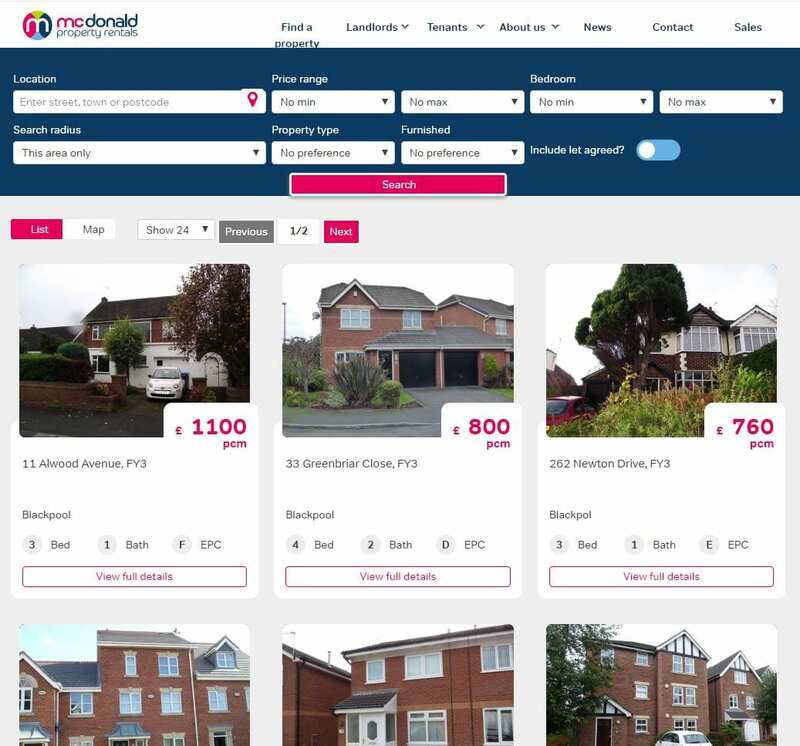 Tenants – it’s another quick and easy way for you to find your perfect new home and McDonald Property Rental! Landlords – Zoopla is yet another way in which McDonald Property Rentals help match you to your perfect tenant! The easy to use navigation on the McDonald Property Rentals website includes sections with advice and guidance for tenants and landlords. As you’d expect, there’s a section devoted to local homes to rent. Browse everything that’s available or search according to your budget or location. If that doesn’t help, just give the friendly team a ring at the Cleveleys or Blackpool office and they’ll answer your question. Would you like to be a Landlord? Thought about owning your own rental property? If you are frustrated with the terrible rates of interest that your savings are attracting, why don’t you think about buying an investment property and renting it out, with the help of McDonald Property Rentals. You’ll make more money than you will from an average savings account, with an average rental yield of 8-10%. 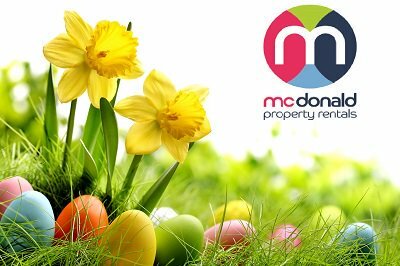 Whether you are dipping your toe into the rental market or you’ve got a growing portfolio of houses and flats, McDonald’s will guide you through all parts of the process from buying a property, to finding – and keeping – a suitable tenant, and then managing the rental for you over the long term. McDonald Property Rentals can help you to make a greater return on your money. Note: This does not constitute financial advice and you should always seek your own independent financial advice from a suitably qualified source before buying any kind of property. Do you need to move home soon? 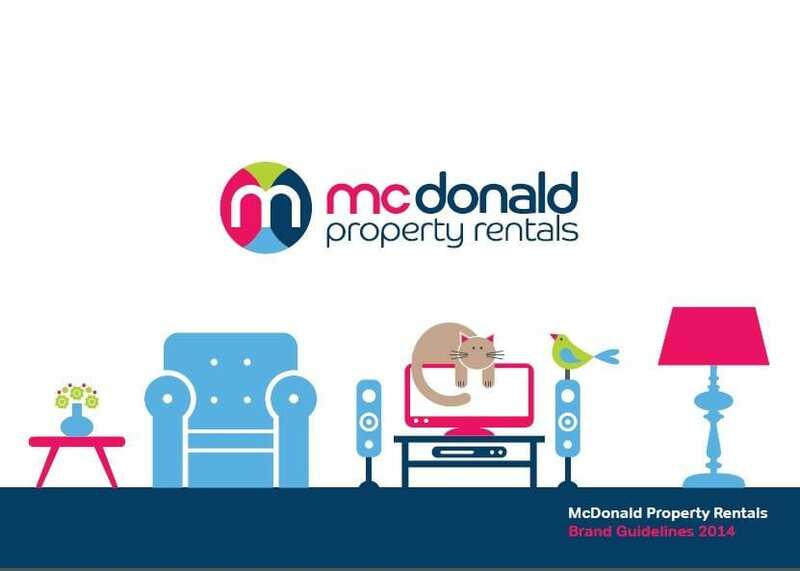 At McDonald Property Rentals we have rental properties here on our website which are available immediately – and with no upfront fees! 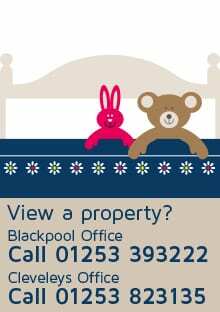 Or, call the Blackpool office on 01253 393222 or the Cleveleys office on 01253 823135 – please mention that you saw it on Visit Fylde Coast! Landlords – Are you Looking for a Local Letting Agent? Calling all landlords, take the hassle out of managing your rental property and ask us to be your Letting Agent! 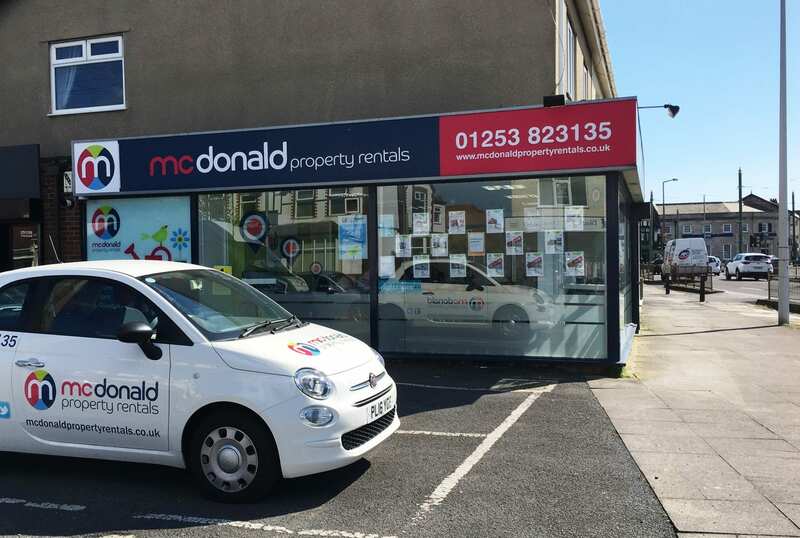 Excellent fees offered, and plenty of advantages to choosing our service – McDonald Property Rentals have been in business on the Fylde Coast for 40 years so have plenty of local knowledge and experience. 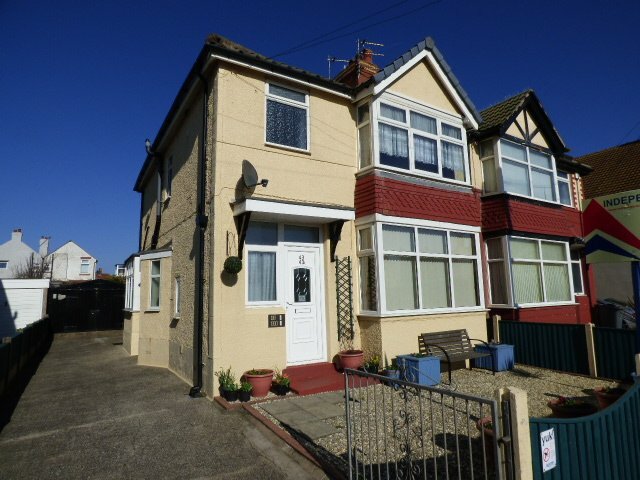 There is always a huge shortage of three bed houses in Wyre & Fylde which are available to rent. We’ve got tenants waiting so call us today and find out how we can take the stress out of having a house to rent! Looking for Local Homes to Rent? Have a look at our new look website at www.mcdonaldpropertyrentals.co.uk and plan your move to your new home. 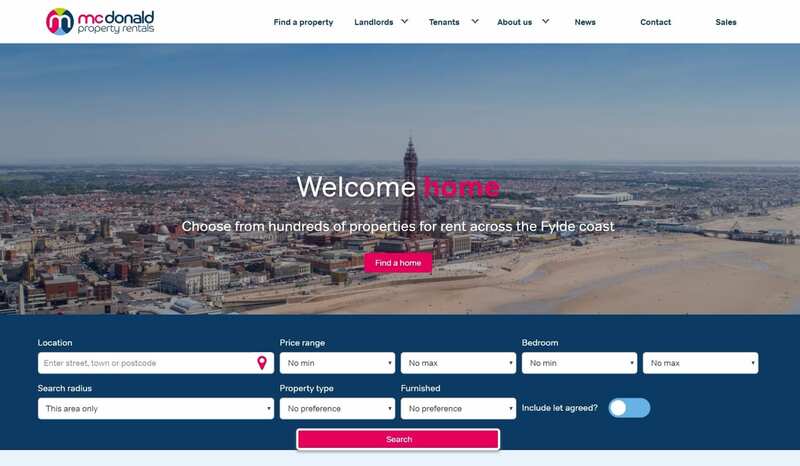 At McDonald Property Rentals we’ve got homes to rent in Fleetwood, Cleveleys, Poulton, Blackpool, Lytham and St Annes. Look out for the our ‘To Let’ boards – and REMEMBER we don’t charge any upfront application fees! Read on on this page for details about how we can help you to get the keys to your new home. Landlords, we are always on the lookout for new rental properties. If you own houses which are available for rent and you could do with releasing the time that it takes to look after tenants, collect rent, and make repairs, why don’t you talk to us about our management service. We can tailor a package to suit your needs at an affordable price that will make being a landlord a much easier role for you. Read more on this page about how we can help you if you are a landlord. With more than 40 years’ experience and a substantial property portfolio, we are the Fyldes leading choice for property lettings. Our experienced, friendly and effective teams have what it takes in all aspects of property management so whether you are looking to be a landlord or tenant, you can expect to receive a service of the highest quality. At McDonald Property Rentals, we pride ourselves on providing exceptional landlord and tenant services. 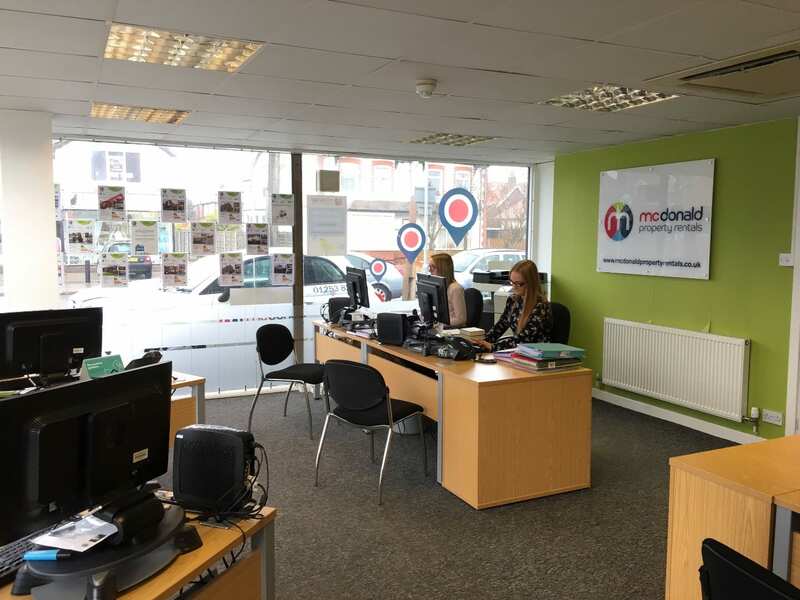 McDonald Property Rentals have two offices on the Fylde Coast – we’ve chosen easily accessible locations on Whitegate Drive in Blackpool and in Cleveleys town centre (below). You’re very welcome to pop in for a chat and look at how we can help you to get into a new house or flat.  If you do get in touch, please mention that you saw it on Visit Fylde Coast, thanks! If you can’t afford to pay the bond on a property yourself, we can direct you to various bond schemes who will lend you the money so that you can get into your new home. McDonald Property Rentals are also members of the Deposit Protection Service. That means that the deposit which you pay when you move into your new home is held safely by an independent body (not McDonald’s or the landlord) until you get it back when you leave the property – notwithstanding and deductions for damages, rent arrears etc of course. McDonald Property Rentals is pretty unusual in not making a charge for application fees when you decide to rent one of our properties. When it comes to applying for a tenancy, we’ll give you the best advice that we can, to suit your own personal circumstances, and help you to quickly make that move into your new home. We know that not everybody is good at filling out forms, so we’ll help you with the application forms themselves, and give you th ebest chance of securing your next home. And when you have finally got the keys, we’ll act as a point of call between yourselves as tenants and the landlord which owns the property, to give you the best chance of a trouble free tenancy on both sides. We know that moving house is stressful, and sometimes you have to move quickly too – so here at McDonald Property Rentals we always aim to provide the quickest and most efficient service which we can. If you’ve been into our shops in Cleveleys and Whitegate Drive and your perfect rental property has either just been taken – or maybe hasn’t come onto the books just yet – we will keep your details on file and give you a ring when something suitable does come up. WANTED – PROPERTIES ALL OVER THE FYLDE COAST! Landlords – we want your houses and flats! We’ve always got tenants who are waiting to move, and although we’ll take any kind of property, three bedroom family homes are ALWAYS in demand. If you’ve got a three bedroom family home, or maybe you are thinking about investing in property, remember that these houses tend to be rented by families who are likely to remain with you for a long time, making your role as a property owner and landlord so much easier. By choosing to work with us, you can be assured that we will always act in your very best interest. We thoroughly vet and assess all potential tenants, including carrying out credit and affordability checks. We also undertake regular property inspections and compile detailed inventories, to ensure your property is being well looked after. In a highly competitive lettings market, it is essential that your property stands out. Using the latest marketing tools, including online and social media, we will ensure your property gains maximum exposure. That way you’ll achieve the best possible rental income. We have fast and effective communication with potential tenants to quickly answer queries or arrange viewings. We ensure that tenants receive exactly the same high levels of customer service provided to our landlords. Our goal is to provide hassle-free lets for you, and long-term, secure lets for tenants. 4. Thinking about Investing in Property? Bricks and mortar are usually a good long term bet if you’ve got money to invest. Knowing what to buy and where can be a little more tricky. Call on McDonald Property Rentals for advice. We’ll help experienced investors or people building a property portfolio. We can let you know what kind of property is in demand and areas where you should be looking to buy. If you’ve got your eye on a particular house or flat we can give you a rental appraisal so that you can calculate whether the potential return will justify the outlay. 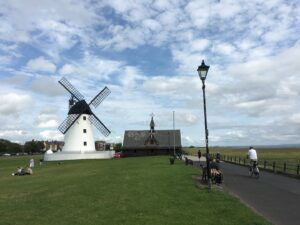 Although our offices are in Cleveleys and Blackpool we work with landlords and tenants all over the Fylde Coast. We can help you with properties in Fleetwood, Poulton, Lytham, St Annes and all the local villages. We also deal with properties in Knott End and Preston. We would love the opportunity to discuss your requirements in more detail. Why don’t you pop in and have a brew and a chat – the kettle is always on! If you do get in touch, please mention that you saw it here, thanks! Tenants – if you’re looking for your next new home we’ve got plenty to choose from. We’ll help you to make the move. Landlords – we’ll discuss your requirements in more detail and provide you with a free rental valuation. Our packages are tailored to you. 15% off Shows at Viva Blackpool!